The Work Ready Program assists adults with finding employment by helping to eliminate barriers such as childcare, housing and transportation. Work Ready’s primary goal is to help clients transition to the EARN program and to secure and retain employment by providing services that will help the client stabilize barriers that may hinder them from achieving self-sufficiency. Adults eligible for the program must be referred from the County Assistance Office and receive Temporary Assistance for Needy Family (TANF) assistance. SNAP Work Ready assists Supplemental Nutrition Assistance Program (SNAP) recipients in gaining skills, training, work or experience that will increase their ability to obtain regular employment. While the primary focus of the program is to move clients into the workforce, the program is still to provide other activities that will aid in the pursuit of that goal. All eligible participants must be referred by the County Assistance Office to participate in the program. 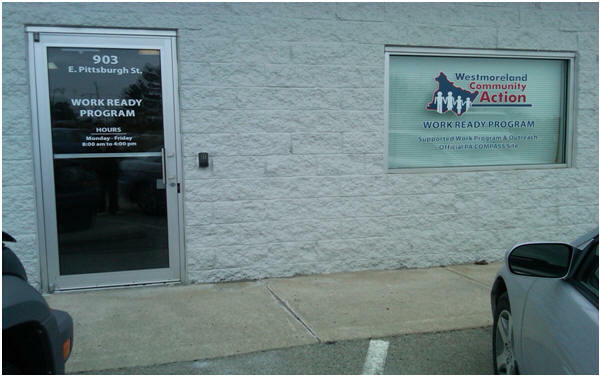 Call 724-552-0349 for more information on the Work Ready Program. Work Ready and SNAP Work Ready are funded through grants from the PA Department of Human Services.